My trio with Alex Roper and Rory Brown will be back at Paris Cat for our third instalment of Bali Report on 10 April 2019, 8 pm. Again, it will be at Melbourne’s iconic Paris Cat Jazz Club, 6 Goldie Pl, Melbourne CBD. Entry is $25. Tickets are selling fast so bookings are strongly recommended! My trio with Alex Roper and Rory Brown will be back at Paris Cat for our second installment of Bali Report on 23 January 2019, 8 pm. It has been a great year with my new trio with drummer Alex Roper and bassist Rory Brown. I just can’t say enough about this really exciting line up. We will be playing our final show for 2018 at Wesley Anne, 250 High St, Northcote, Vic, AU. It’s free, so, check it out! The Bridge will be coming back to Open Studio, 24 High St, Northcote, Vic, AU on 2 December, 2:30–4:30 pm. This will be our final gig of 2018, and together with these amazing musicians, we will perform our expanded repertoire. Entry is $10, payable at the door. No bookings required. The eMotion Band will be playing a house concert in Eltham, Vic, AU, part of the Chez Kerby Concert Series. This will be an intimate Sunday afternoon. Take note of the date/time: Sunday, 18 November 2018, 2 pm–5 pm. Entry is only $15. Make a booking and you will be given the address. 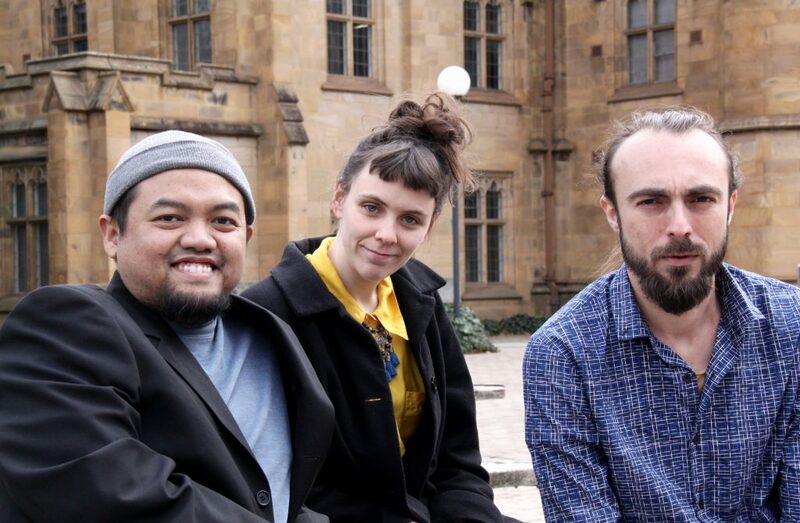 Earlier this month, together with drummer Alex Roper and bassist Rory Brown, we played at the Ubud Village Jazz Festival in Bali to represent the Castlemaine Jazz Festival as part of their partnership. We will be delivering a ‘report’ of our performance there, presenting a taste of the festival for you in Melbourne! Even better, we’ll play longer than we did in Bali. So, this is definitely one not to miss. It will be at Melbourne’s iconic Paris Cat Jazz Club, 6 Goldie Pl, Melbourne CBD. Entry is $25. Tickets are selling fast so bookings are strongly recommended!